Test tube and hematocrit separations. 3-15ml tube, 4000 rpms, 110v (220v also available. 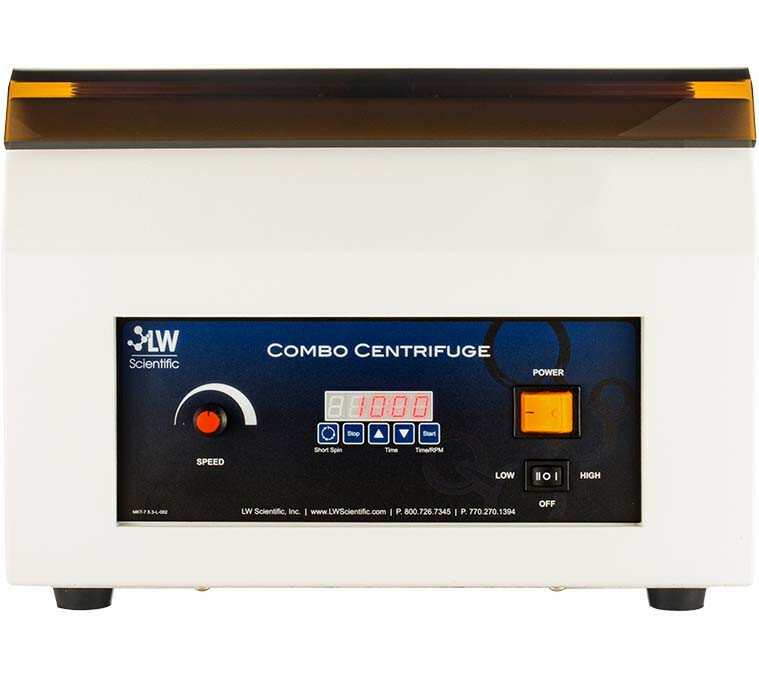 Accomplish both test tube and microhematocrit separations with the Combo centrifuge. Simply choose a box (with or without a digital tachometer) and choose your rotors. The Combo spins either test tubes, capillary tubes or microtubes by simply changing rotors — no tools required! 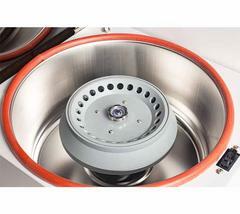 Achieve hematocrit separations in less than five minutes at 12,000 rpm; then accurately determine results with the included reader disc. Other features include variable speed control, 30-minute timer, rubber feet, and all-metal body construction.